Toko Kue@Tebet Barat, Cakes, Pizza,Bakery, Pasta etc. Toko Kue@Tebet Barat, Cakes & Bakery, Pizza, Pasta etc. 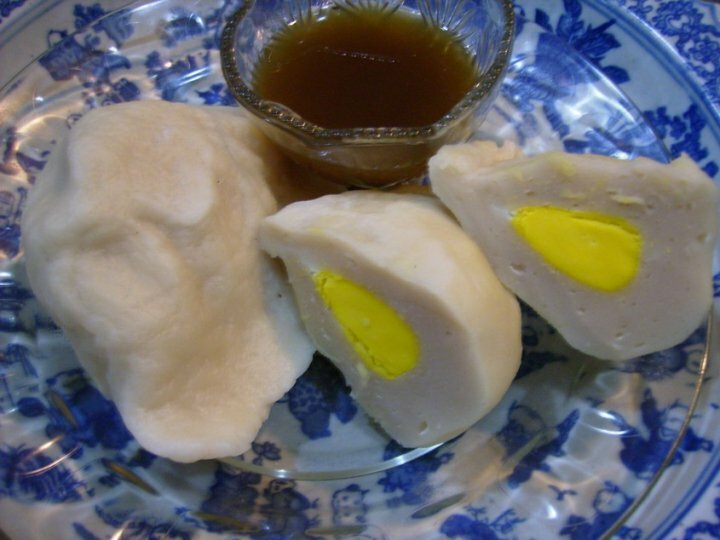 Ninda Kue Onde Onde Lawang Jl. Tebet Barat 9 No. 25, Telp. 98250403, Email afaf_bt@yahoo.com Website click here. 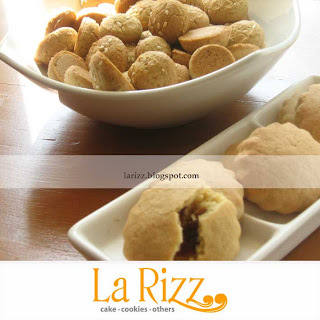 Onde-Onde, Sus Vla, Kue Lapis, Nagasari, Kroket, Risol Raquat, Makaroni Sikotel, Sosis Solo, Martabak Telur, Sambosa, Combro, Tahu Isi, Pisang Goreng, Lumpur, Wajik, Dadar Isi Kelapa, Lemper, Lontong etc. Kios Tomang Cakwe Martabak Bangka Manis Special, Jl. 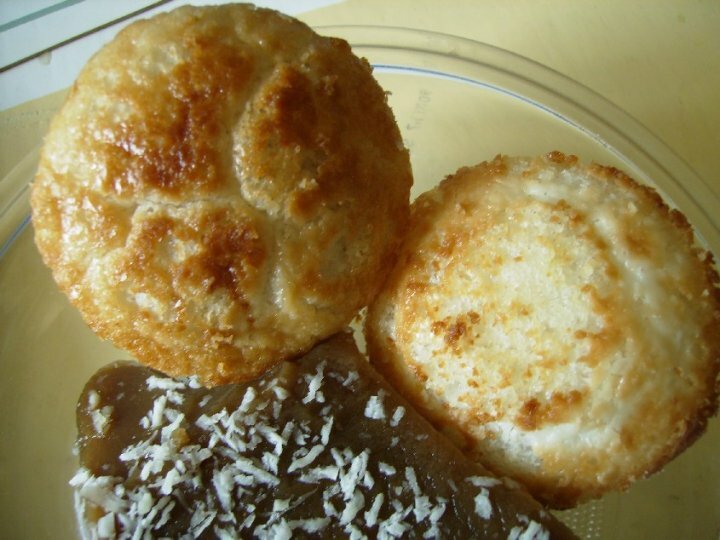 Tebet Barat Dalam Raya, Apin HP 085216895822, Martabak Bangka rasa Keju, Kacang, Coklat, Martabak Telor & Daging, Pisang Gepeng, Onde-Onde, Aneka Kue etc. kami Mels' Macaroni bisa menjadi pilihan makanan favorit anda semua. Untuk pesan dan ambil di tempat silahkan hubungi : Fajar Suryawan MBA, Dipl.Hot & Melanie Mobile : 0815.839.8088 atau 021.7278.7070, more information. Holland Bakery SAHARJO Jl Dr Saharja 317 Blok AC Tebet Barat Telp. (021) 83704468. Moshi Mushroom, Mexican Coffee, Hot Dog, Chocolate, Cheese, Lady Finger, Coconut, Tawar Premium etc. JAKARTA, KOMPAS.com - Setiap acara pernikahan yang mengusung adat Betawi, pasti tak pernah meninggalkan roti buaya. Biasanya roti yang memiliki panjang sekitar 50 sentimeter ini dibawa oleh mempelai pengantin laki-laki pada acara serah-serahan. 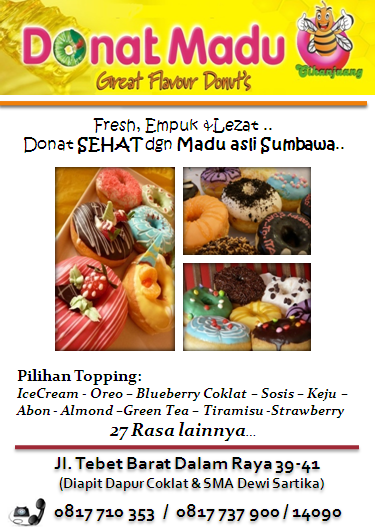 Dengan 27 Pilihan Topping Rasa: Ice Cream - Oreo – Blueberry Coklat – Sosis – Keju – Abon - Almond –Green Tea – Tiramisu –Strawberry, dll. Melayani Pembeli secara langsung atau melalui mitra kami. MONGGO CHOCOLATE is produced in Indonesia and prepared with the utmost respect for the tradition of the great master chocolatiers. The high quality and authentic taste of Monggo chocolate with its premium cocoa and pure cocoa butter makes it the first choice in taste. 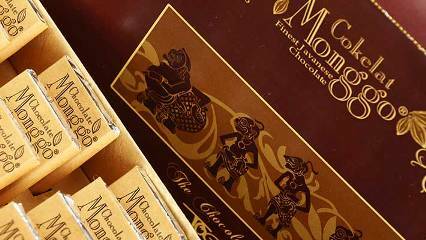 Monggo chocolate is made from a fine selection of Javanese and Sumatran cocoa beans. All the Monggo products are 100% natural and most of the packagings are made of recycled paper. Cheese Cake Factory Jl. Tebet Barat Dalam Raya No. 23, Telp. 8354735, Fax. 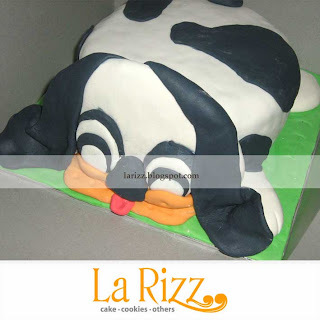 83702169,Email sales@chzcakefactory.com Website click here. 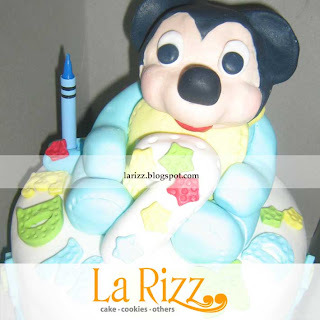 Blueberry Cheese Cake, Mixed Fruit Cheese Cake,� Caramel Marble, Pizza, Ice Cream etc. 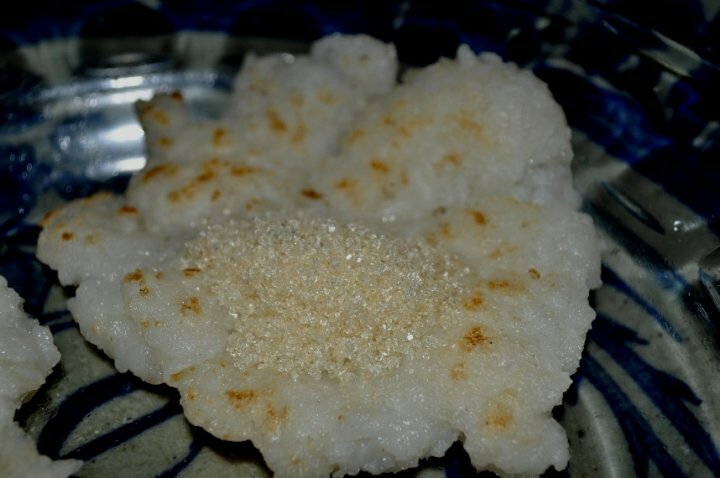 Ninda Kue Onde Onde Lawang Jl. Tebet Barat 9 No. 25, Telp. 98250403,Email afaf_bt@yahoo.com Website click here. 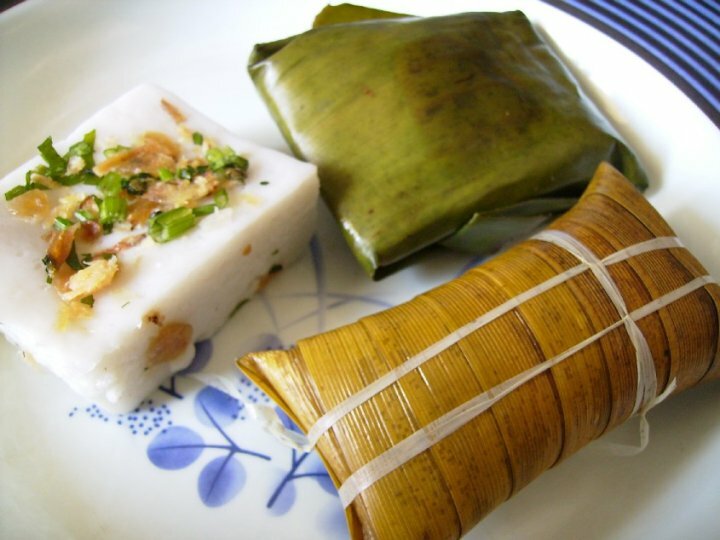 Onde-Onde Lawang, Sus Vla, Kue Lapis, Nagasari, Kroket, Risol Raquat, Lemper, Lontong etc. 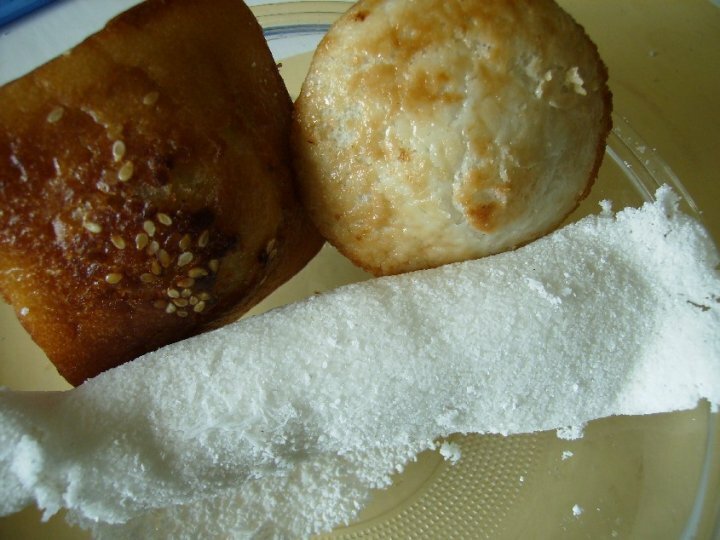 Toko Kue Victoria, Ahuy, Kue Buatan Sendiri, Tanpa Bahan Pengawet, Bahan Alami. Terima Pesanan 0813 9966 9564 Pasar Modern BSD City Pintu Selatan Block K 133. 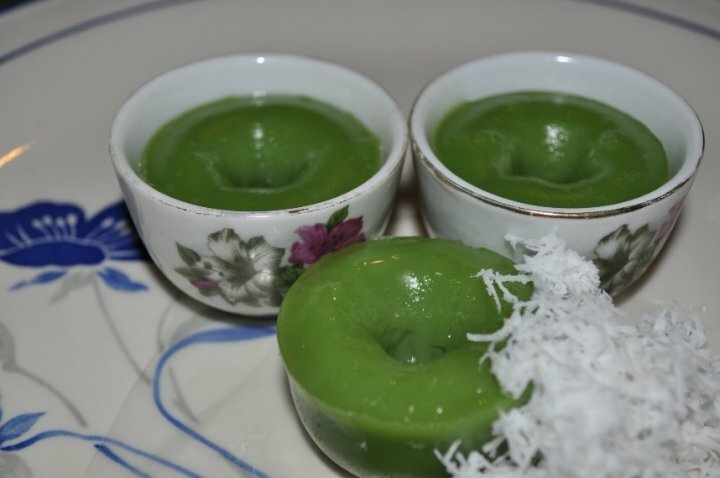 Lapis Hijau Suji, Lapis Merah Angkak, Talam Gula Merah, Talam Hijau Putih, Talam Ubi, Lumpang, Srikaya, Getuk, Putu Mayang. PHD Pizza Delivery Fresh! by Pizza Hut Jl. Tebet Barat Dalam Raya Ruko No. 94E,Telp. 83785588, Email none Website click here.Original Pizza Chicken All-Round, Chicarbonara, Yummy Veggie, Cheesy Galore etc. cakewalk Jl. Tebet Barat 9 No. 655, Jakarta Selatan, Indonesia, Telp. 83701812, Fax. 83702244, Email cakewalk@sarimitraboga.co.id Website click here. la chocolate, red lotus, black forest, tiramisu, strawberry cheese cake, mango mouse etc. Customer's comments frida's Site. King�s Cake & Bakery Jl. Tebet Barat 8 No. 18, Telp. 8305672, 8298005, 8306244,Fax 8298473 Email none Website click here. Parcel & Cake, Cake with Logo, Black Forest, Rich Chocolate, Nastar, Snow White, Tiramisu etc. 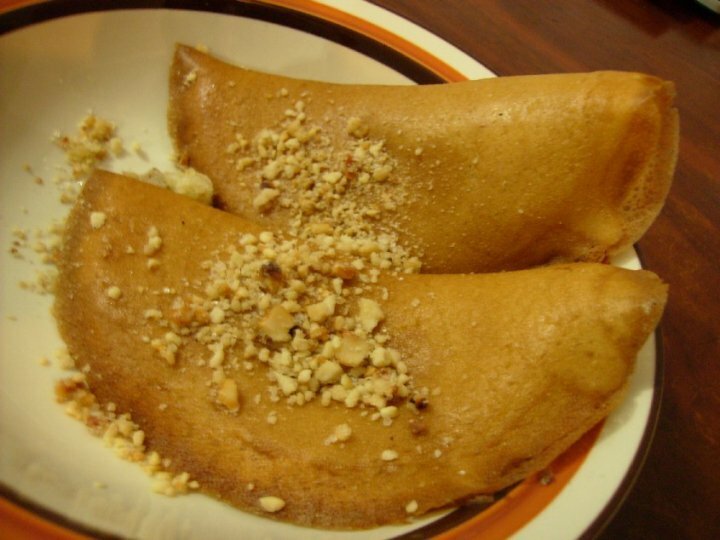 Martabak Manis Jakarta, Jl. Tebet Barat Dalam Raya No. 90, Telp. 98026552, HP 081519971431.
dan kami yakin dengan cita rasa khas yang kami buat Mel's Macaroni memberikan rasa yang berbeda dari macaroni lainnya. Cake is a form of food that is usually sweet and often baked. Cakes normally combine some kind of flour, a sweetening agent (commonly sugar), a binding agent (generally egg, though gluten or starch are often used by vegetarians and vegans), fats (usually butter, shortening, or margarine, although a fruit purée such as applesauce is sometimes substituted to avoid using fat), a liquid (milk, water or fruit juice), flavors and some form of leavening agent (such as yeast or baking powder), though many cakes lack these ingredients and instead rely on air bubbles in the dough to expand and cause the cake to rise. Cake is often frosted with buttercream or marzipan, and finished with piped borders and crystallized fruit. A bakery (also called baker's or bakehouse) is an establishment which produces or/and sells bread, pies, pastries, cakes, biscuits, cookies, etc. Many retail bakeries are also cafés, serving coffee and tea to customers who wish to enjoy the freshly baked goods on the bakery's premises. 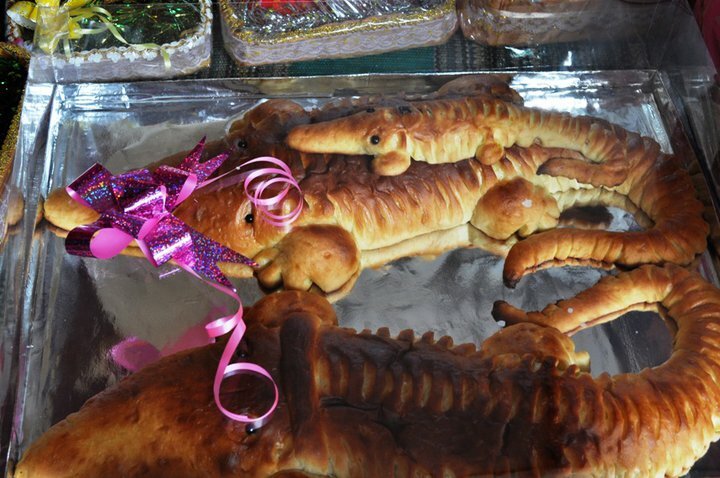 Bakers work there. 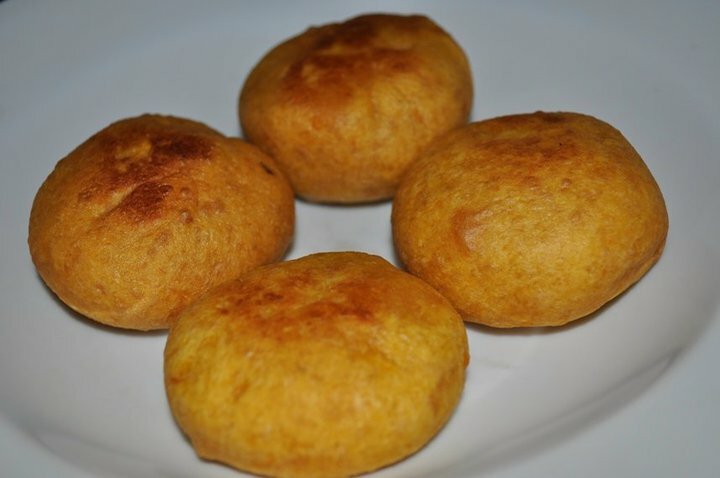 Bread is a staple food prepared by baking a dough of flour and water. It may be leavened or unleavened. Salt, fat and a leavening agent such as yeast are common ingredients, though breads may contain a range of other ingredients: milk, egg, sugar, spice, fruit (such as raisins), vegetables (such as onion), nuts (such as walnuts) or seeds (such as poppy seeds). Bread is one of the oldest prepared foods, dating back to the Neolithic era. The development of leavened bread can probably also be traced to prehistoric times. Fresh bread is prized for its taste, aroma and texture. Retaining its freshness is important to keep it appetizing. Bread that has stiffened or dried past its prime is said to be stale. Modern bread is sometimes wrapped in paper or plastic film, or stored in an airtight container such as a breadbox to keep it fresh longer. Bread that is kept in warm, moist environments is prone to the growth of mold. Bread kept at low temperatures, for example, in a refrigerator, will develop mold growth more slowly than bread kept at room temperature. However, unwrapped bread kept in a typical household refrigerator will turn stale quickly due to the low humidity of the air. The inner, soft part of bread is known to bakers and other culinary professionals as the crumb, which is not to be confused with small bits of bread that often fall off, called crumbs. The outer hard portion of bread is called the crust.